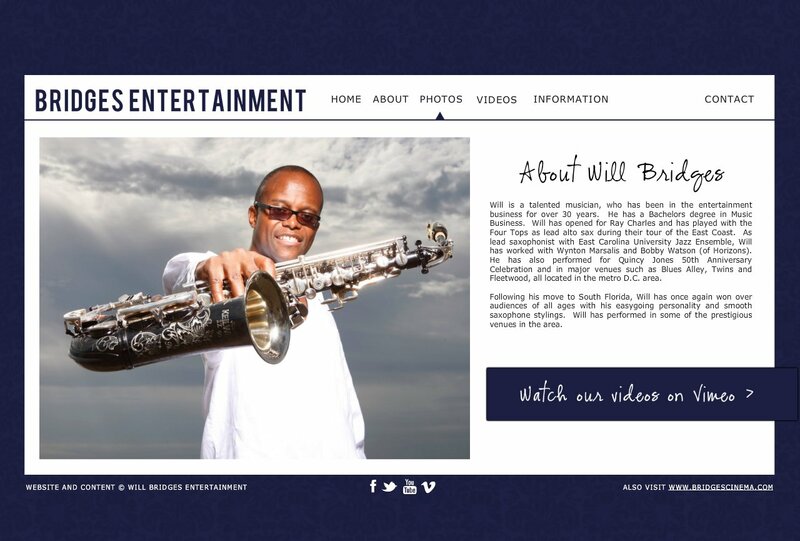 Will is a talented musician, who has been in the entertainment business for over 30 years. He has a Bachelors degree in Music Business. Will has opened for Ray Charles and has played with the Four Tops as lead alto sax during their tour of the East Coast. As lead saxophonist with East Carolina University Jazz Ensemble, Will has worked with Wynton Marsalis and Bobby Watson (of Horizons). He has also performed for Quincy Jones 50th Anniversary Celebration and in major venues such as Blues Alley, Twins and Fleetwood, all located in the metro D.C. area. Following his move to South Florida, Will has once again won over audiences of all ages with his easygoing personality and smooth saxophone stylings. Will has performed in some of the prestigious venues in the area.